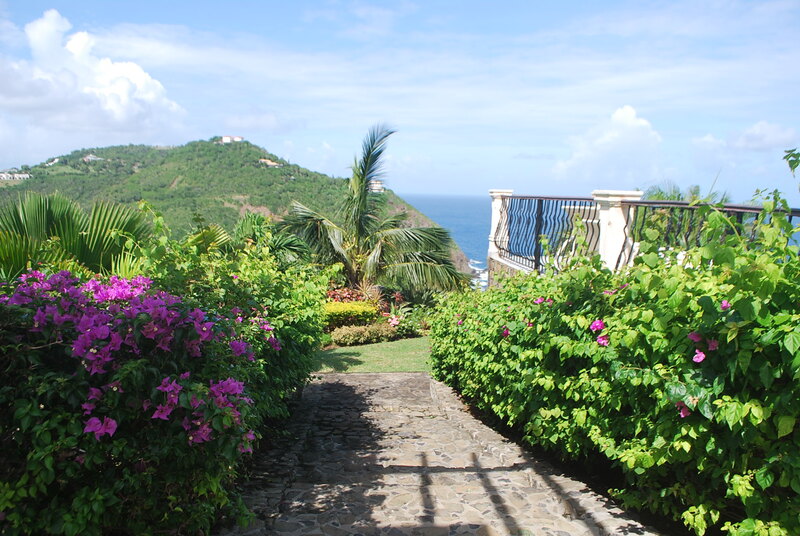 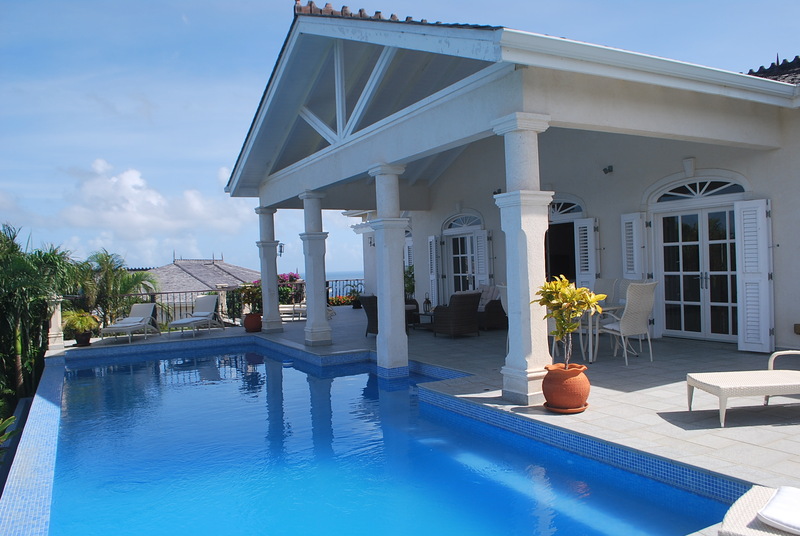 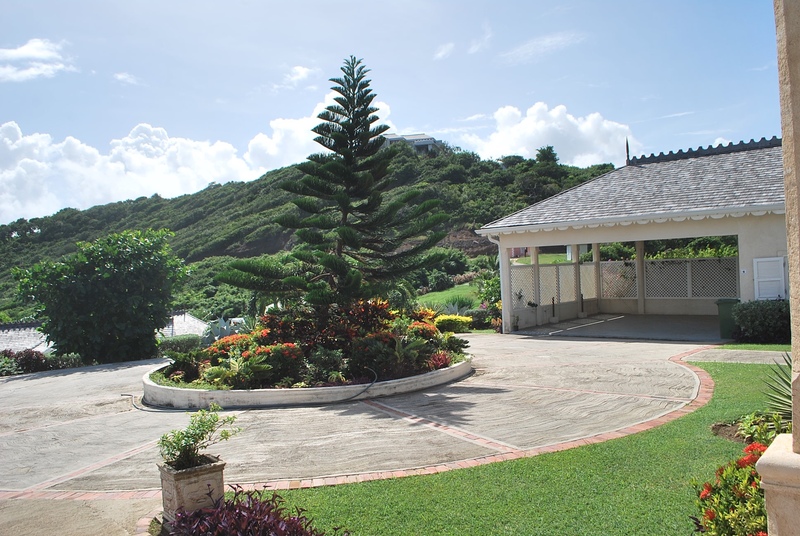 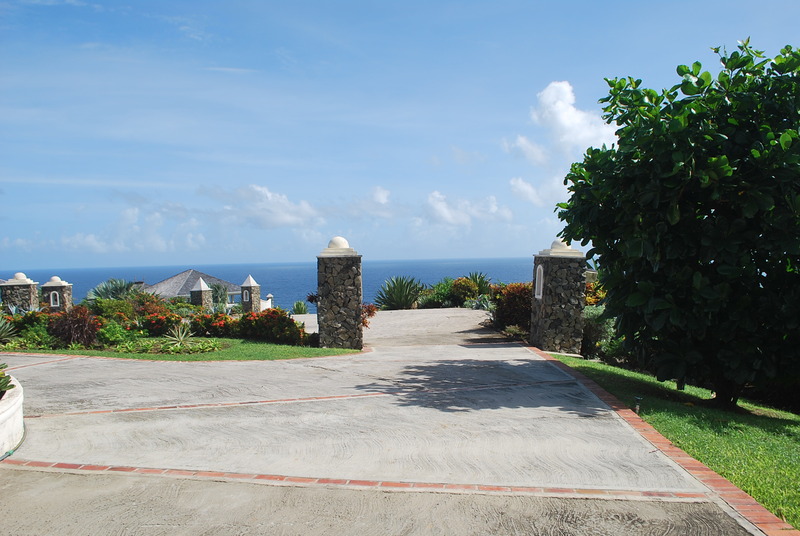 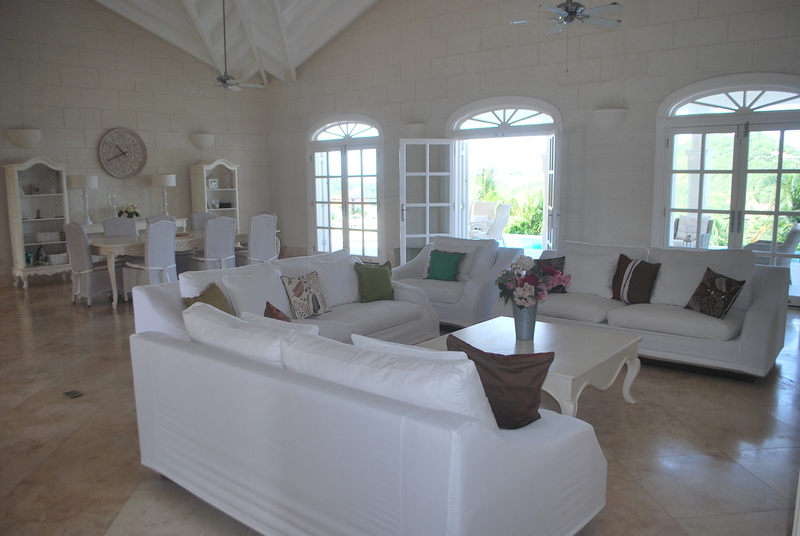 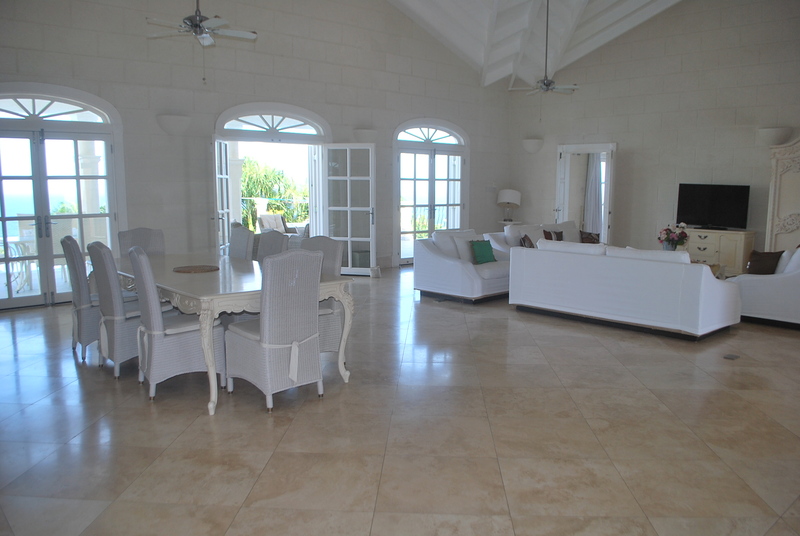 This stunning villa is simply beautiful, set within the Seabreeze development is the desirable Cap Estate community to the very north of the island, the sea views and surrounding vistas are breathtaking. 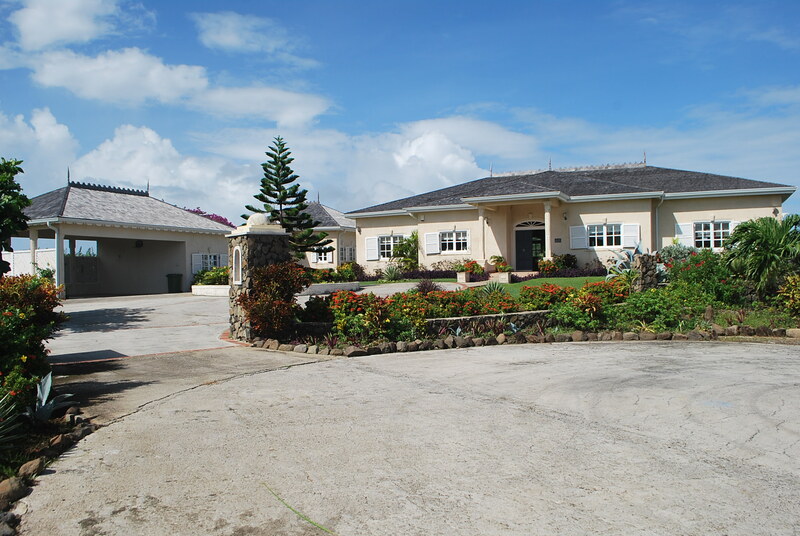 The curving driveway leads to a two car covered car port. 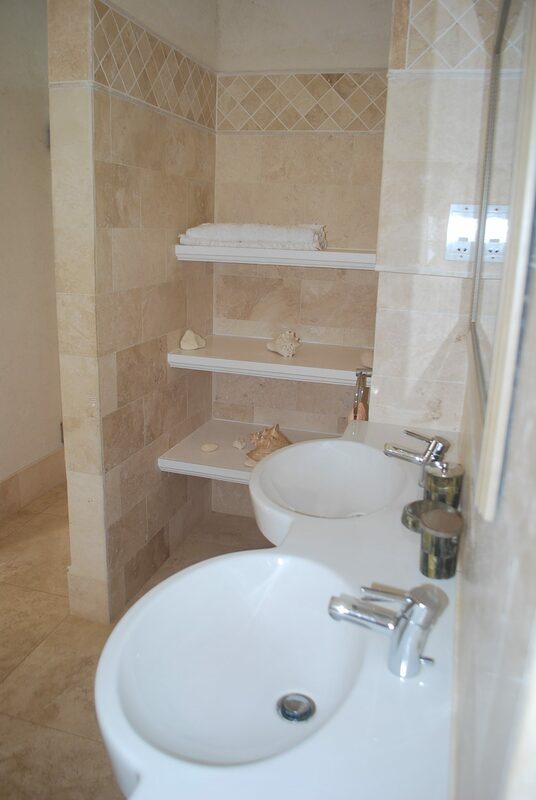 There is a service bathroom and bedroom which also forms part of the space. 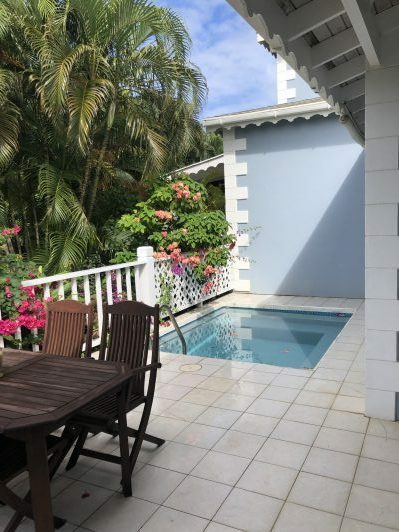 A detached self contained cottage is adjacent to the house and features a one bedroom suite and patio. 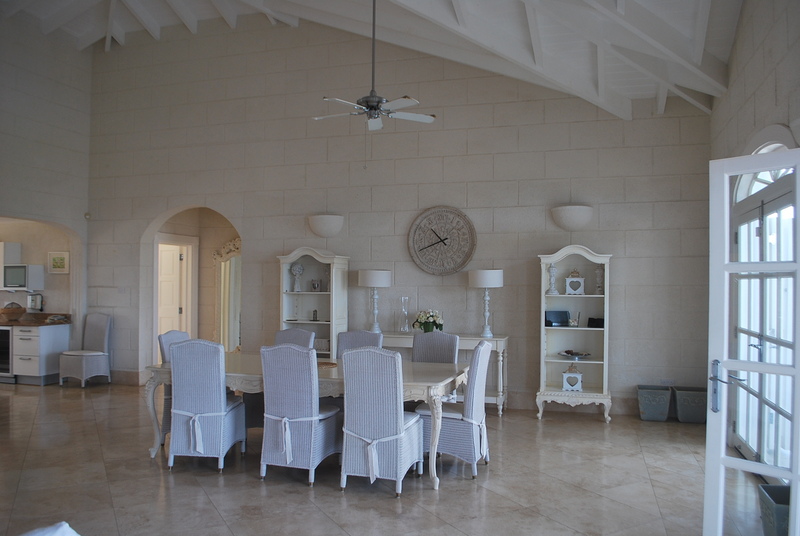 The main home entry opens into the grand living and dining space. 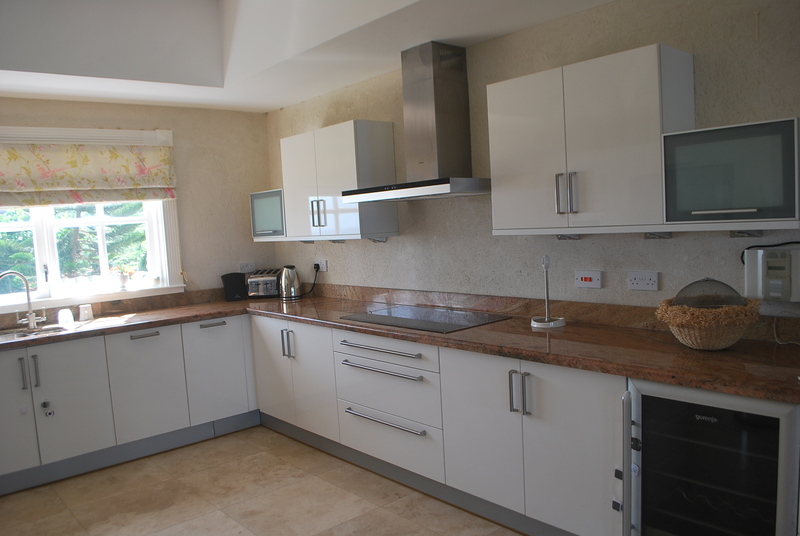 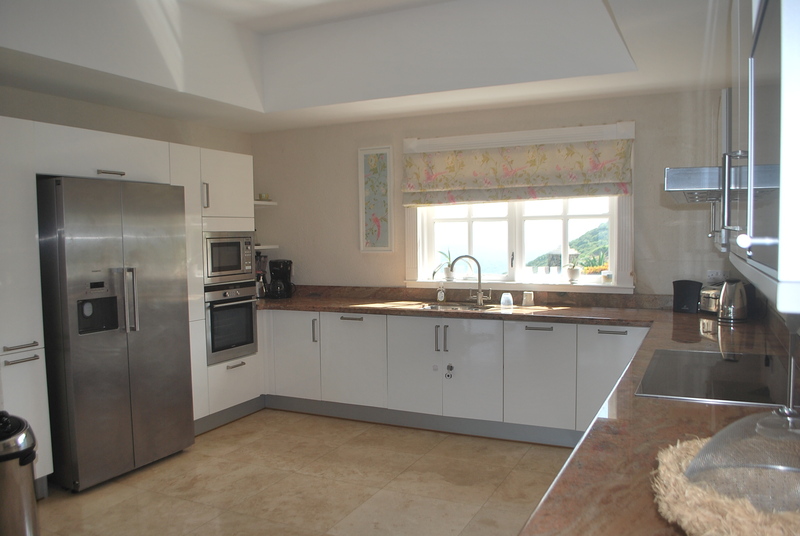 The kitchen is horse shoe in design and features all quality built in appliances. 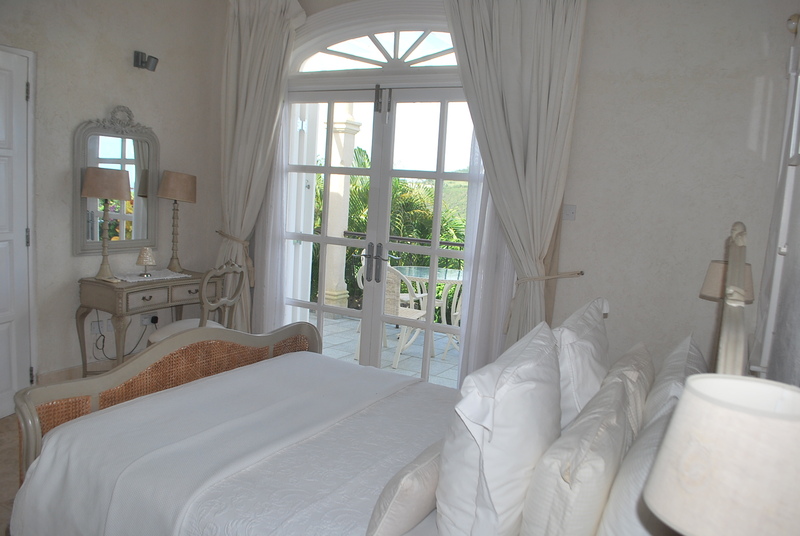 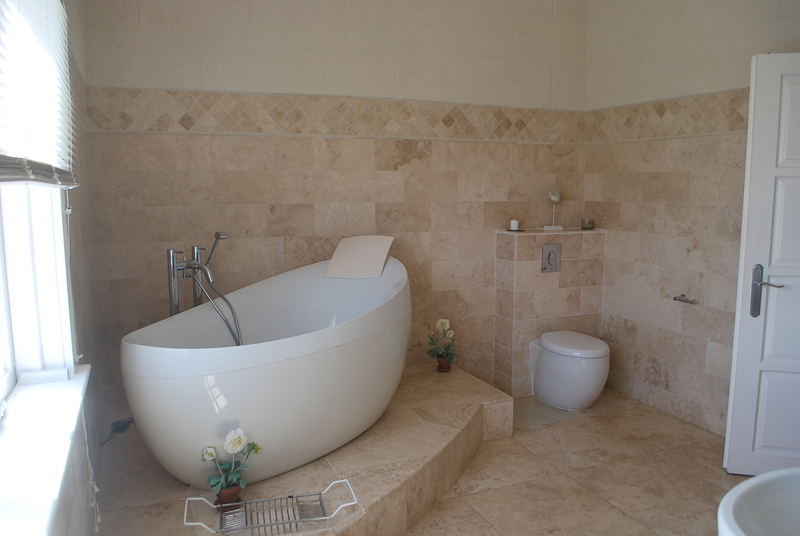 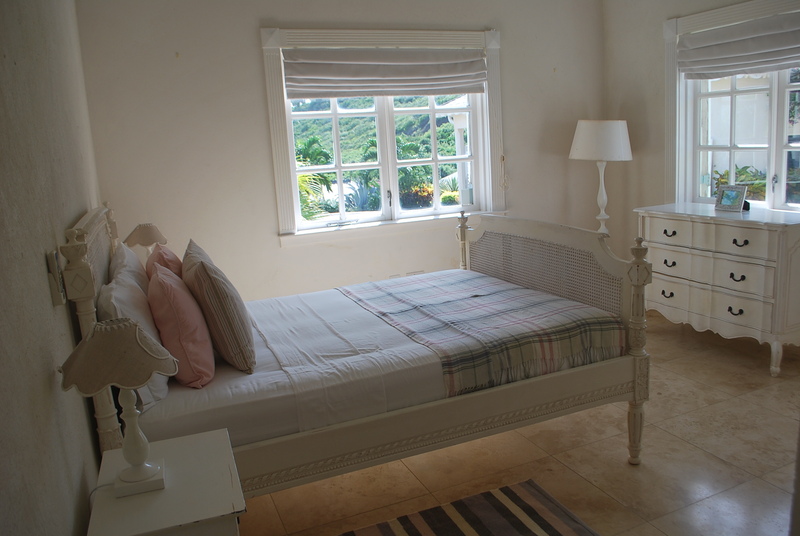 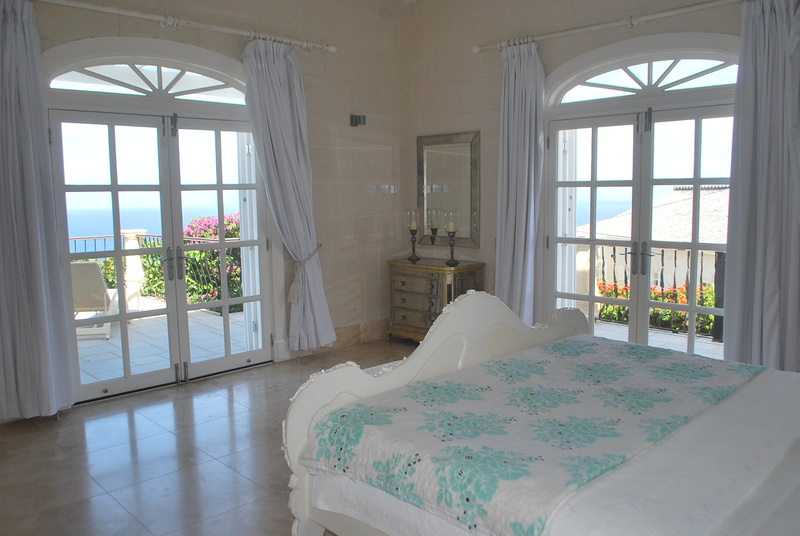 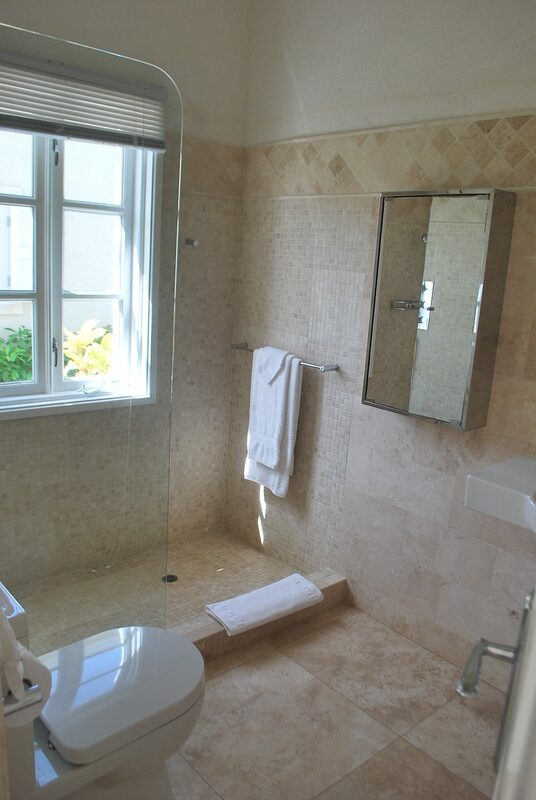 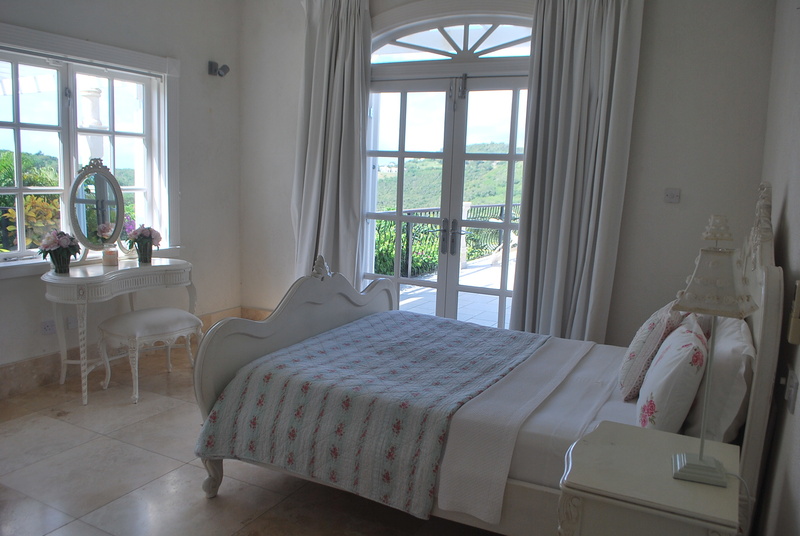 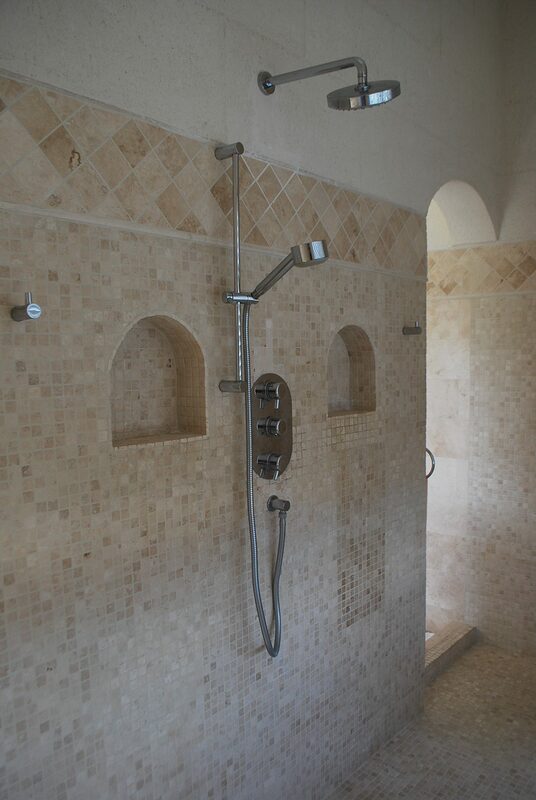 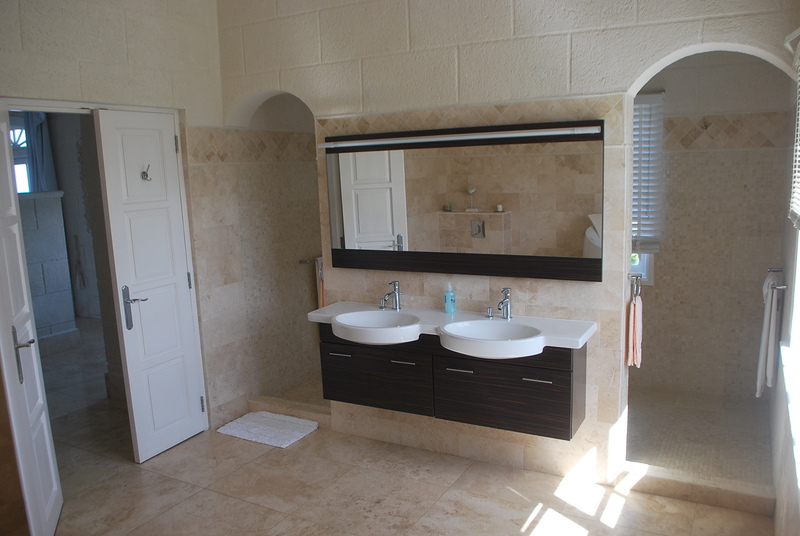 There are two guest bedrooms both ensuite with standing glass showers to the left. 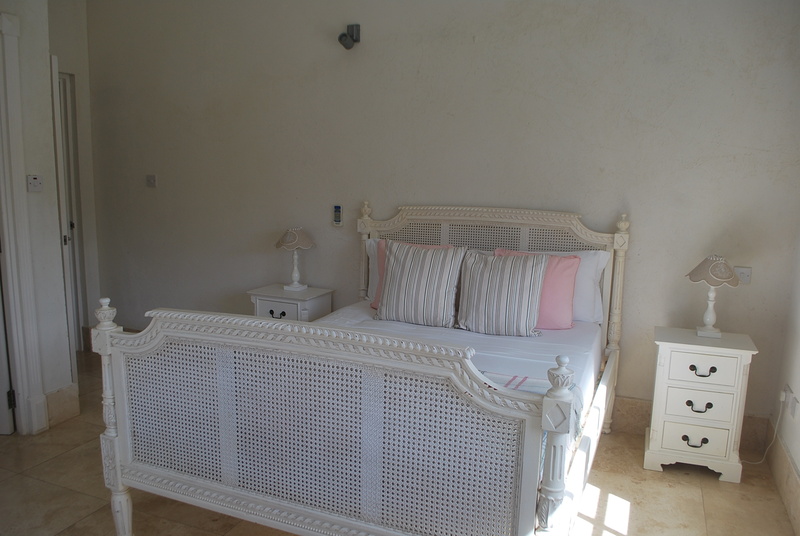 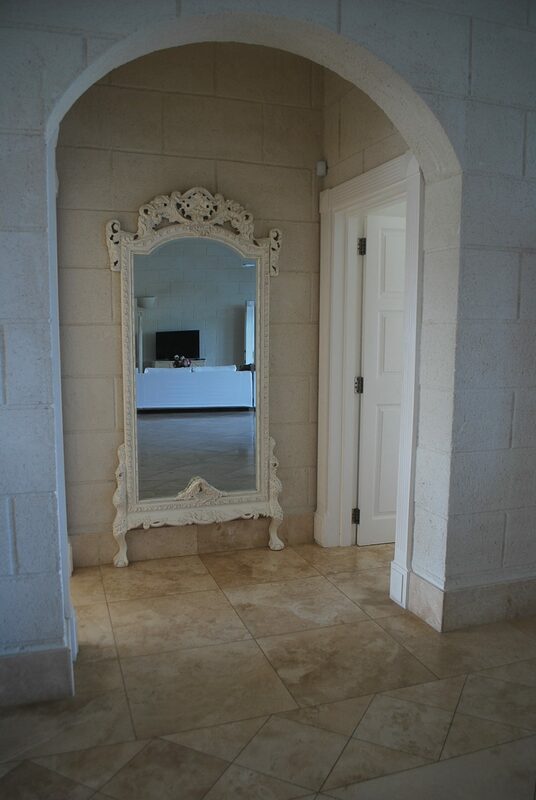 There is a third guest bedroom on the right also ensuite. 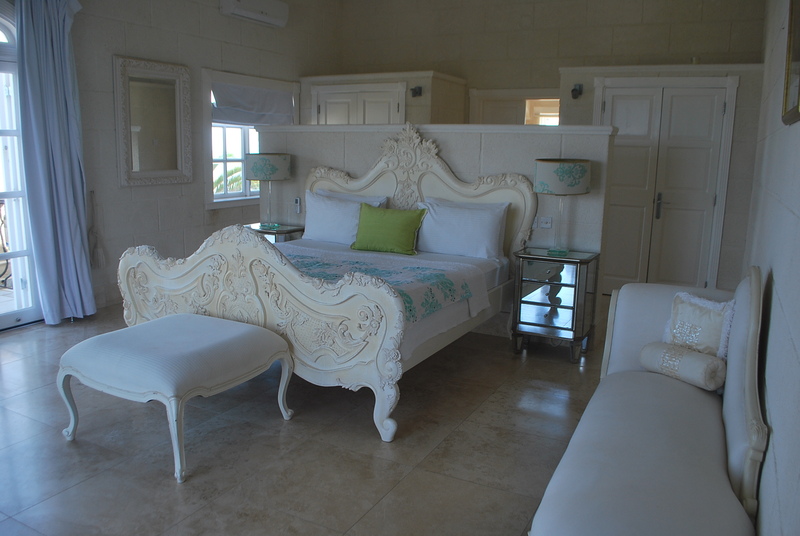 The master bedroom overlooks the private end of the pool and deck, and features a bonus desk space and grand spa bath. 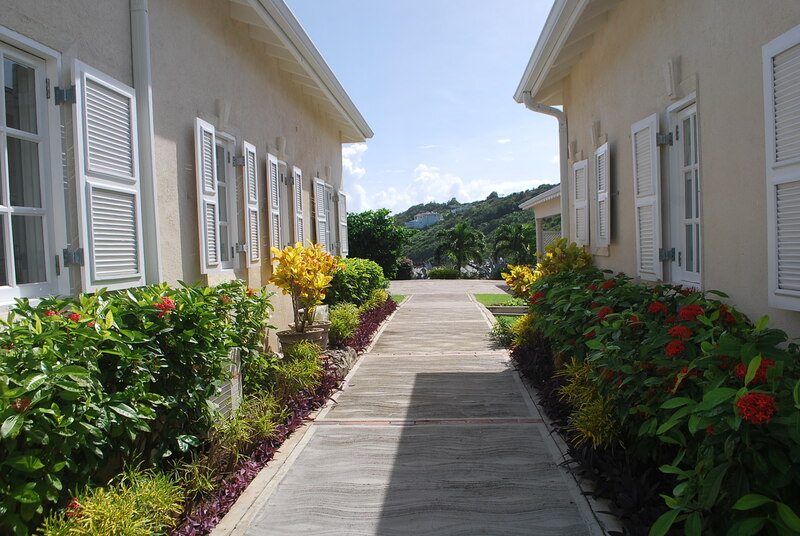 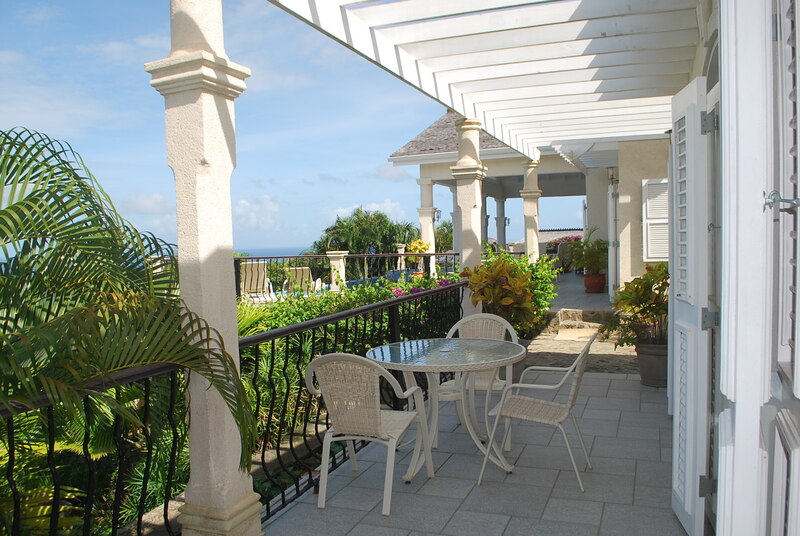 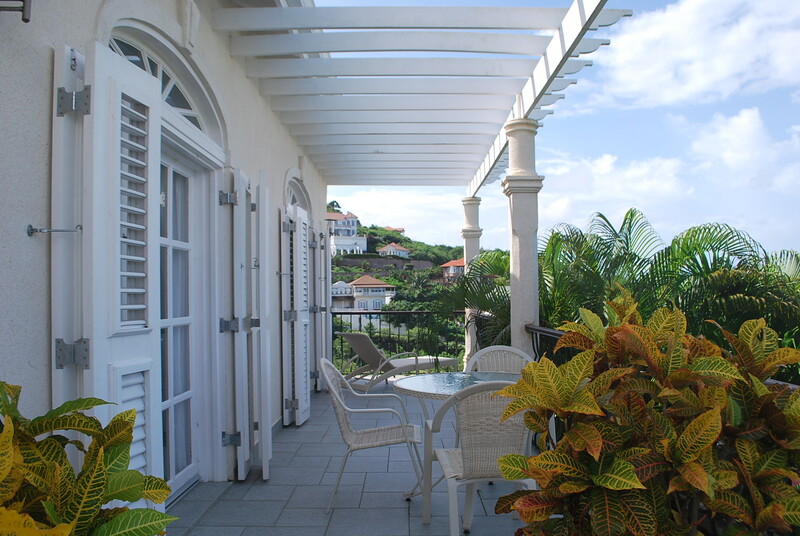 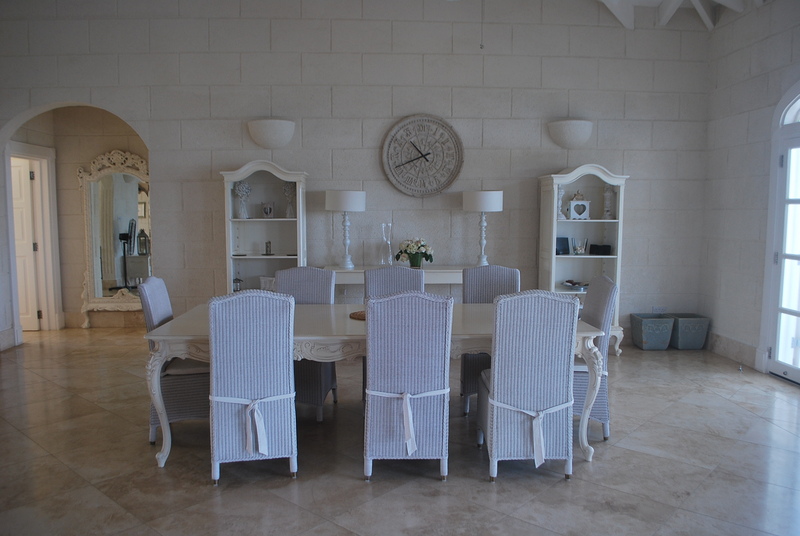 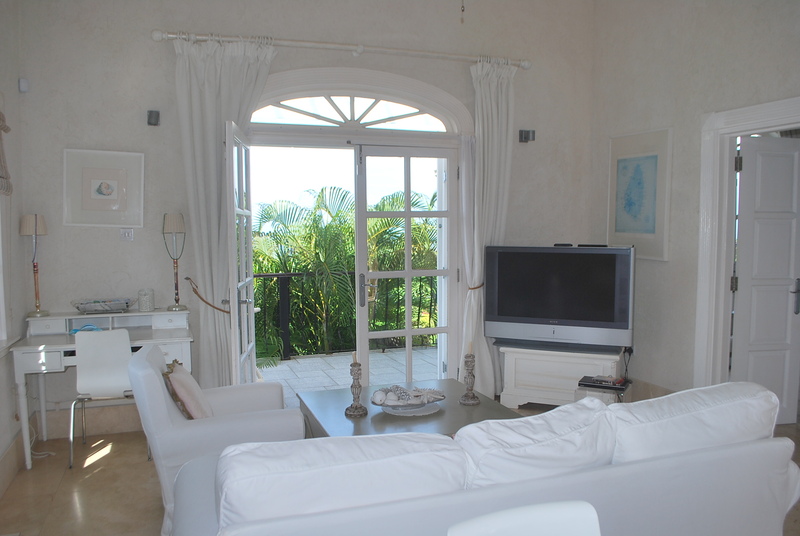 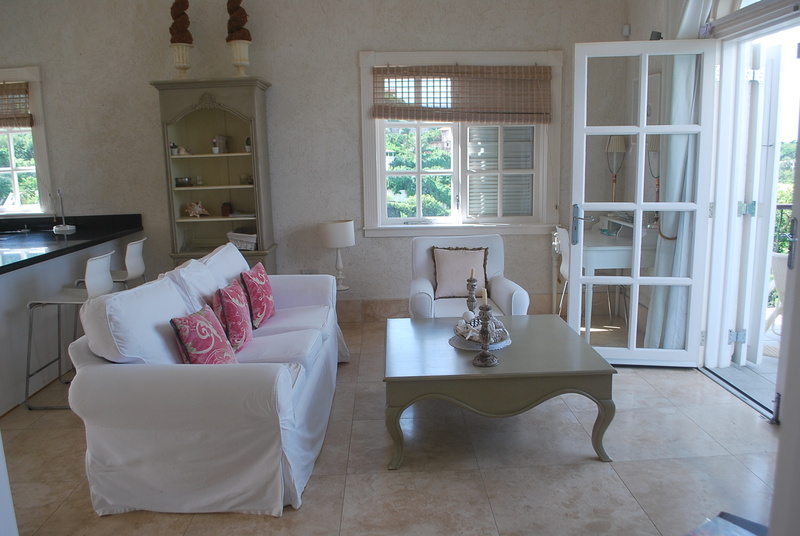 The patio runs along the entire front of the house and shares the generous pool and sea views. 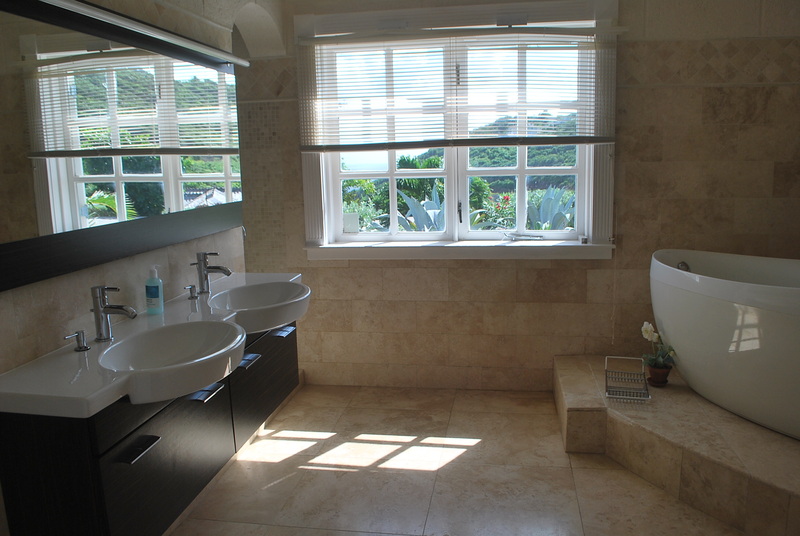 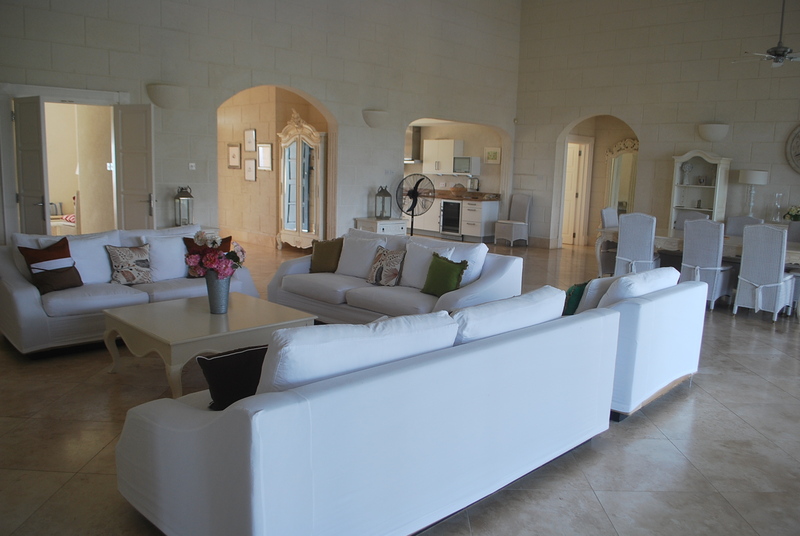 The description hardly covers the enchanting design and feel of this property as one must conduct a personal site visit.